Zach Miller advances the ball upfield versus Stebbins on Tuesday, Aug. 28. Photo by Darrell Wacker | AIM Media Midwest. Chris Mitrousis takes a shot on goal during Butler’s game versus Stebbins. Jake Pruszynski (12) battles for control of the ball versus Stebbins. Spencer Imwalle battles a Stebbins defender for control. 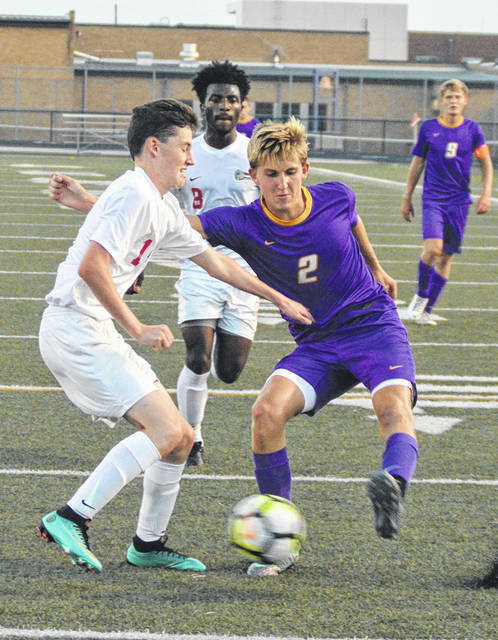 TROTWOOD — After dropping their first game of the season last Saturday at Centerville, the Butler boys soccer team rebounded with a pair of victories this week over Stebbins and Trotwood-Madison. The wins lifted the Aviators to 5-1 overall and 3-0 in the Greater Western Ohio Conference American North Division. On Thursday, Butler traveled to Trotwood and bullied the Rams for nine goals in a 9-0 win. The Aviators got a goal from Chris Mitrousis Zane Burgmeier, Ryan Davis and Mikael Waale. Scoring their first varsity goals were Noah Taylor, Rodney Washburn, Grady Ingersoll, Michael Burkholder, and Colton Clay. 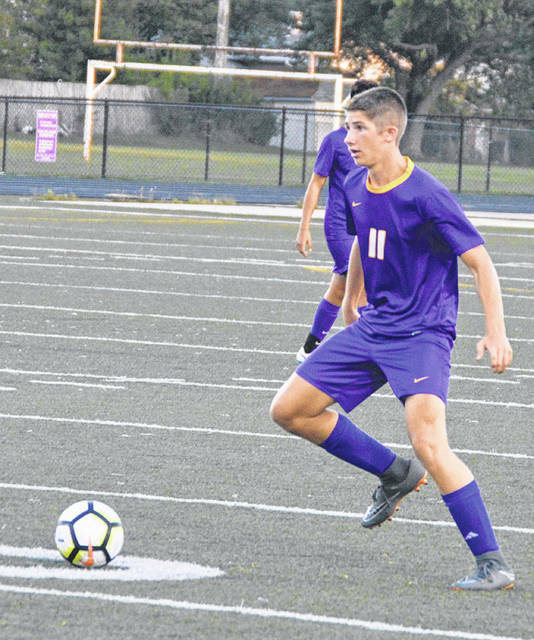 VANDALIA — The Aviators pitched their third shutout of the season when they hosted Stebbins on Tuesday. Head coach Steve Doring praised the defensive effort which has allowed just two goals in their first six games. Scoring goals for the Aviators were Davis, Mitrousis, and Waale while Burgmeier and Matt Crawford picked up an assist each. Butler will take the Labor Day weekend off before traveling to West Carrollton on Tuesday at 6 p.m. and hosting Xenia on Thursday, Sept. 6 at 7 p.m.
https://www.vandaliadrummernews.com/wp-content/uploads/sites/19/2018/08/web1_43.jpgZach Miller advances the ball upfield versus Stebbins on Tuesday, Aug. 28. Photo by Darrell Wacker | AIM Media Midwest. https://www.vandaliadrummernews.com/wp-content/uploads/sites/19/2018/08/web1_64.jpgChris Mitrousis takes a shot on goal during Butler’s game versus Stebbins. Photo by Darrell Wacker | AIM Media Midwest. 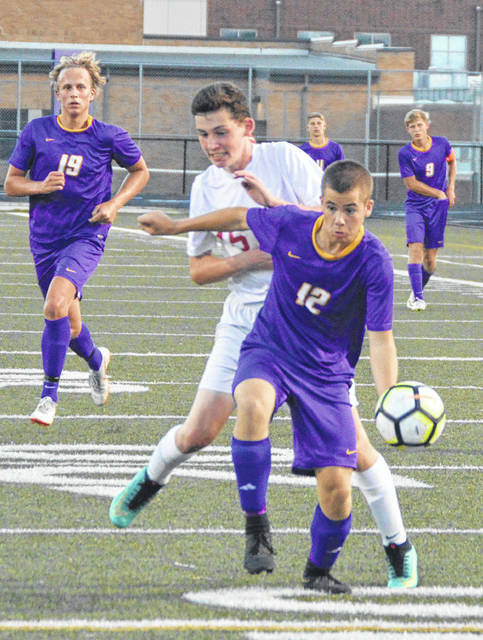 https://www.vandaliadrummernews.com/wp-content/uploads/sites/19/2018/08/web1_77.jpgJake Pruszynski (12) battles for control of the ball versus Stebbins. Photo by Darrell Wacker | AIM Media Midwest. 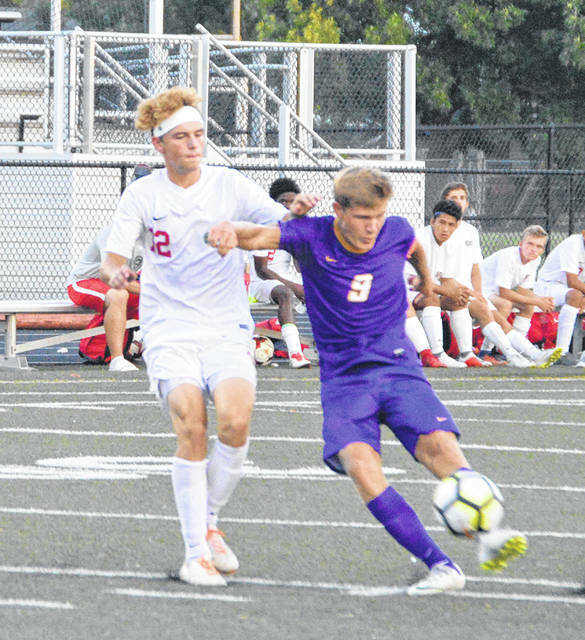 https://www.vandaliadrummernews.com/wp-content/uploads/sites/19/2018/08/web1_111.jpgSpencer Imwalle battles a Stebbins defender for control. Photo by Darrell Wacker | AIM Media Midwest.